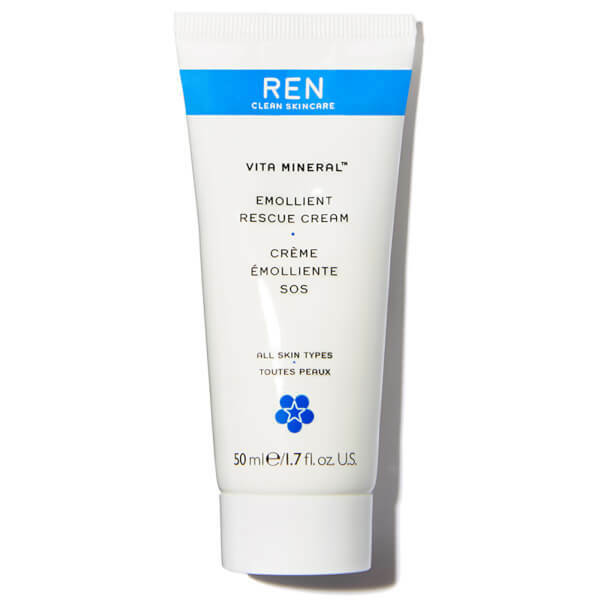 Designed to recue your skin from dryness, sensitivity and skin roughness, this Vita Mineral Emollient Rescue Cream by REN is a must have product. 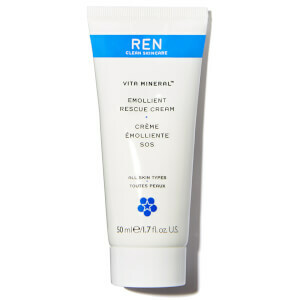 A rich, creamy consistency, it will leave your skin silky soft and super hydrated, whilst protecting against damaging environmental aggressors such as extreme weather, pollution and UV rays. K.D. Rosa Damascena Flower Water, Squalane,Cera Alba (Beeswax), Glycerin, Cetearyl Ethylhexanoate, Polyglyceryl-3 Polyricinoleate, Caprylic/CapricTriglyceride, Sorbitan Sesquioleate, Sucrose Distearate, Magnesium Sulphate, Phenoxyethanol, Vaccinium Vitis-Idaea (Lingonberry) Seed Oil, Vaccinium Macrocarpon (Cranberry) Seed Oil, Polyglyceryl-3 Ricinoleate, Sodium Hydroxymethylglycinate,Tocopherol, Citric Acid, Laminaria Ochroleuca Extract, Citronellol, Geraniol.